No matter how cozy seat you arrange, Babies like being held close to your arms because he likes to feel the warmth of his mom & dads. But unless you’re Aneta Florczyk or Arnold Schwarzenegger your arms & shoulders will get tired. That’s why baby carrier comes in, to make the baby feels closer to you as much time as possible. This article will help you to choose the best baby carrier for your tiny newborn baby. When do you really need a Carrier? How’s about the market of baby carrier? Getting a carrier isn’t a need always – you could utilize a stroller when you’re out on the town. But, it is the only thing that gives you a chance to do your own particular thing, while your baby relaxes against you. 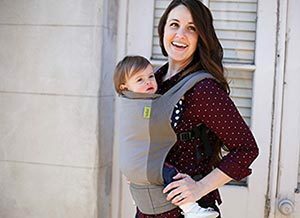 Most parents say that baby carrier is their most loved baby products because they can keep their kid with them always even in crowded spaces like airports. 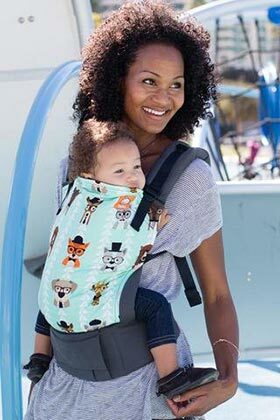 It gives your arms a break especially if your child gets upset when they can’t see you, you are able to do your daily work by carrying your newborn baby with you. Most of the parents like to use that for newborn to the walking stage starts. But some moms like to use for their baby up to 4 years. It depends on you, your & your kid’s comfortability. It’s also great to use if you like hiking and want to bring your child with you, even if your child is a little bit older but not able to hike. So now you are looking for a great baby carrier for your newborn baby, Right? So this is the right website you have entered. 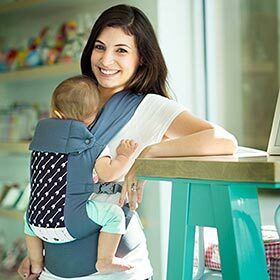 Keep reading this article until the end because this will definitely help you to choose the best newborn baby carrier within your budget. There are several new entrances into the market in each year, making it difficult to make a decision about which one is suitable for your baby. Little bit worried? Don’t worry. Because we have reviewed 14 baby carriers to make your decision easier & there is a wide range (from the established brand to newcomer & from the lower price range to higher). Price varies from $35 to $130 depends on the quality & brand. We have evaluated each to find out the safety, comfort, durability, reliability. So don’t hesitate to choose the best one for baby upon our review. Before reading the reviews please take a look at below notes which will help you to select the best one for your newborn baby. Design: The design is very important to ensure proper hip & back development of your baby. There are some very important things to look up for understanding the usability as well as the comfortability. Firstly, If you want it for infants (3+ months) you have to select a C spinal alignment design so that there will be a nice curvature in your baby’s back & legs will be tucked up when you put him into that type of carrier. This type of position is called “fetal tuck” position, there are several benefits of this position, it helps to reduce pressure on the spine and hips. 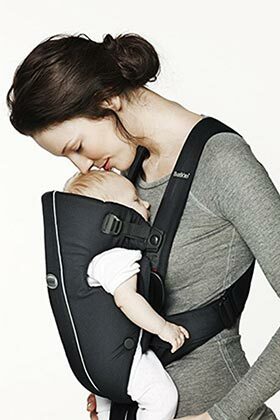 This type of carrier is tightly supported both your and baby’s back. He will in front of your eyes all the time and you will be able to kiss your his forehead when you wish. Secondly, If you want your infant’s (6+ months) buttocks and hamstrings to be supported, that means the legs to be dangling down below the carrier. This called “frog leg” position. We will not recommend you to buy this type of carrier for kids less than one year. So, we will recommend you to go for fetal tuck position for newborns & frog leg position for toddler & bigger kids. Caution: You can use carriers for newborns (+3months), but we prefer to wait until they are capable of holding their heads high. Versatility: The days are gone when a baby carrier can only support a single carrying position. So there is no need to buy twice for infant, toddler, big kid, and for hiking (back). Most of them are now very versatile, allowing for various carrying positions. At the lower end, some have 2 positions, usually front-facing and back-facing. At the higher end, some have up to six positions, including back-facing infant (fetal tuck), back-facing infant (legs out), front-facing toddler, back-facing toddler (without as much head support as the infant position), hip sling, and back (hiking). The best one, also the expensive one is more versatile and can carry from newborn until about 4 years old. We obviously recommend you to buy a versatile one because it will add a great value to you, how? You can use the same from his 3 months age to 4 years & you can also carry him in different positions with the same product. Safety: There is nothing more important to consider than the safety of your kids. There are a lot of factors to consider. How is the stitching? Where the buckles attached? Where the zippers attached? What is the quality of the zippers & buckles? What is the quality of Velcro? Many manufacturers use lower quality connectors, zippers, fabrics, and stitching, Velcro, you need to just avoid them. The most important thing is weight-bearing capability, this related to safety. 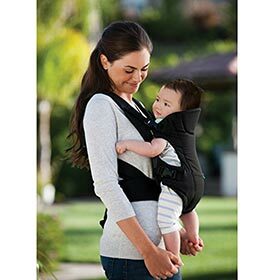 Safety also includes the baby position, the breathability of the fabric and the proper head and neck support. Comfort: Comfort refers to the comfort of the baby as well as the comfortability of that person who carries the baby. This should be determined whether the baby will be happy or not. Padding should be present in the right places, along with the back portion where arms & legs meet. There should be less padding around the face & shoulder to ensure the breathability. Cost: Price varies from $25 to upwards of $200 for the higher quality & versatility. We have reviewed some of the lower price (with limited features, but good quality) as well as some of the higher price. Some are versatile and some are of limited features depending upon the price. We have reviewed 14 baby carriers into two parts. First, we have reviewed the best quality baby carriers and in the second part we reviewed 6 cheap baby carriers. At first you must think your child’s comfort first, isn’t it? Lillebaby complete All season made of high-quality cotton fabric with highly breathable mesh fabric inside, which will give your baby a very soft touch. High quality inner and outer fabric makes it more versatile to use in different weather conditions. Suppose, you have started walking then it’s cool, I mean in the morning, then it’s ok with all types, but when you come back the weather may be warmer. So there is a chance that your baby will feel uneasy. For this condition, Lillebaby offers you a zip-down front section which allows you to reduce the insulation & airflow to his back. Great design. Isn’t it? What about your comfort? Oh….we are not satisfied as like Ergobaby in Lillebaby. We are not saying that Lillebaby all season is not comfortable for you, It’s definitely comfortable, but we found lesser than Ergobaby, but that’s not a big deal. In fact, this Lillebaby all season won “Most Comfortable Carrier” by prestigious Cribsie Awards in 2013. LILLEBaby all season is the most versatile present in the market which will allow you six carrying position. 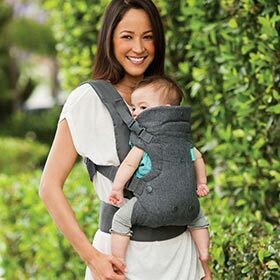 Fetal tuck, tuck with legs out, front- facing toddler and rear-facing, the fifth is hip sling style, and sixth is a back carrier for the toddler. You can carry your baby from 7 pounds to 40 pounds that means you are allowed to carry from 3 months up to 4 years in it and there is no need of any infant insert. Because this has the ability to make its’ seat more narrow while need. That’s a great advantage to get rid of this awkward infant insert. The adjustments of various positions are very good; we have checked every single position & all of them are highly supportive to mom & dad. The structure is well & much reliable. It’s very much easy to put on and take off, also easy to in & out your baby. Lillebaby has a stylish and adorable sleeping hood which also gives him protection from sun or wind. The hood is removable & you can easily put it in a pocket. So what do you think? Is there any other which can give you more versatility like this? No, there is no one. This is the best considering all points of view. Overall, Lillebaby is excellent and this will give you 100% satisfaction. Note: Recently modified version has much-improved waist belt extension, so we think that there is no need of waist belt extension buckle anymore, If need you can buy from here.Another Thing to look up: If your child constantly soaks it, if you are getting tired of smelling dirty than we have a solution for you. You can buy teething & droll pads for your baby. Check the current price of this teething and droll pad here. “Happy Baby, Happy parents”- this is the motto of Beco Gemini and this one really deserves this. Beco Gemini has a cool design; it has a great back panel for a fresh take on breathable comfort and navy microfibre fabric shoulder straps. The design is really very simple & less complicated. You can wear Beco Gemini as crossed or backpack style. This simple design of Beco Gemini reduces weight & maximize your comfort. It’s 4.5-inch wide waist belt helps to distribute weight more evenly. The adjustable system of waist buckle is good enough as you can adjust in two directions. The adjustable range is also very wide, from 27 inches to 59 inches. The slimmest padded streamlined panel fits a tiny newborn without an insert, where most of the others need inserts. This is much comfortable especially for infants because you can adjust seat width & panel height as your kid’s requirement. This makes this product to a versatile & most convenient one. The seat part of the panel has two flaps which can create a narrow seat for a young baby for facing out position. We didn’t find any other except this which fits infants very well. 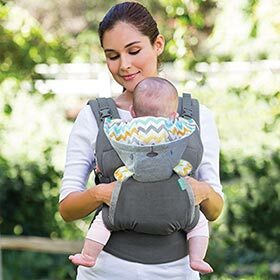 If you are searching for a carrier for your tiny newborn baby than this will be the best one for you, but we will not recommend you to go for this if your child is more than 20 months older. It has a well-padded waistband which provides much support while carrying. It will be a great deal considering the price and quality. Click here to check the current price. Ergobaby four position is one of the most popular. Is it the best one? Yes, it is; in some point of view. Ergobaby is one of the most reliable brands and this all position 360 is an award-winning product. This is also known as four position carrier because you will be able to position your baby facing you, facing the world, on your hip & on your back. So you can choose the suitable position anytime you want. Is this comfortable enough? Yes, this is very much comfortable one both for you and your baby. Infect, we found that Ergobaby is much comfortable than LILLEBaby. Moms will also feel a little bit more comfortable than other brands while breastfeeding. Its exceptional lower back support will give you much comfort than any others available in the market. Ergobaby four position 360 is a versatile one but not the most versatile because it doesn’t have bucket adjustment to accommodate with both newborn and toddler, you have to use an infant insert to carry your infant. You can carry from 10 pounds to 35 pounds in Ergobaby 360, that means you can carry from 6 months up to 2.5 years baby. 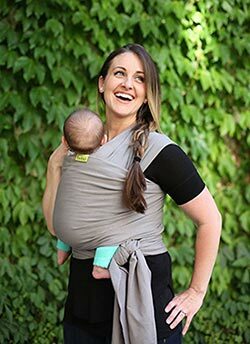 Do you want your newborn to carry in this Ergobaby? You can, but you have to buy an infant insert to put your newborn baby on it. It’s safe enough but we will not recommend you to use until your baby is strong enough holding his heads high. By adding an infant insert you will be able to make four position carrier into five positions. Click here to check the price of infant insert. 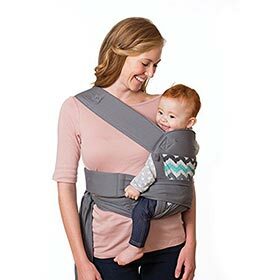 We found that ERGObaby 360 is very lightweight, soft, comfortable for both baby parents & easily adjustable to your body. This includes a hood which will protect your child from sun & wind. 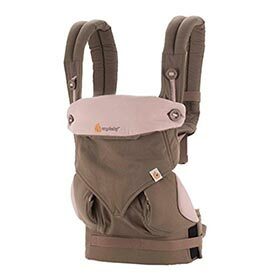 This is available in black and camel color, the price is good enough based on the super quality of Ergobaby 360. Click here check the current price. There is another customized version of this, that’s the Ergobaby three position. You can position your kid facing you in front & back, and on the hip. This also allows you to use infant insert. Quality is also good enough to save some amount of money. This is also one of the most functional as like Ergobaby four position, even more versatile in some points.It’s more bulky and complicated than Ergobaby four position. With all additional features makes it better for toddlers. One of the great advantages of Ergobaby cool air mesh over four position that is has a lumbar-support pad which makes it great for transferring excess weight to hips, pelvis & knees. Lumber support pad is rectangular, it works as a waist belt. This design is also bulkier which makes it feel comfortable when you will carry your toddler for a long time. Extra padded shoulder strap evenly distributes your baby’s weight. It also provides great comfort to your baby for extra bulkiness; he may fall asleep for comforts. The fabric used is cool mesh type which really makes feel very good in warmer conditions, especially in summer. 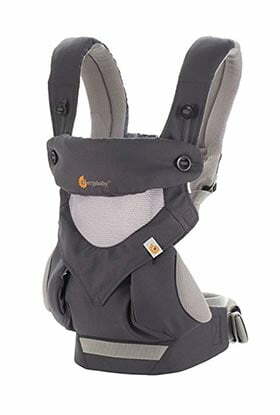 Generally it allows you to carry 12lbs to 35lbs but you can carry your infant by adding an infant insert as like Ergobaby four position but it might not be suitable as like that, as this one is much wider. That’s why we put it downwards than Ergobaby four position. If you consider this point, then you will not find any negative point for this. It’s cool & highly breathable, lightweight and extra padded strap will provide maximum comfort for you, adjustable systems are also very good. Thinking about positions? You can carry him in all position by this. Finally, it’s very strong, durable and long-lasting, so you can definitely buy this one for your little one, especially if you are not thinking to carry your newborn here. It will allow you to carry 13 to 45 pounds, which means you will not be able to carry your infant normally, but you can by adding an infant insert which will reduce more $40 from your pocket. So obviously you can use the same product for your infant baby as well as the toddler. 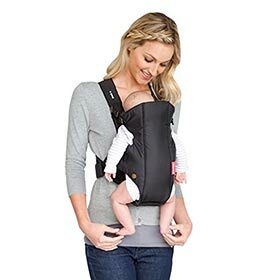 Look at the picture, the shoulder straps are highly padded which ensures more comfort than other carriers while carrying. Leg supports are also soft-padded which will give your baby soft feel. But this is not adjustable as like Lillebaby so it may be uncomfortable for your child if it’s not fit with his thigh. Also as there are no cross-straps & lumbar support, it may cause back pain. The hood is well shaped & easily removable and quite easy to get it on and off. So you can easily protect your little one from sun & wind while needed. Overall, Tula ergonomic is not bad considering all points. It’s stylish looking with lightweight in very simple design can make your decision to buy This one. Though comparing with Ergobaby & Lillebaby price is a little bit higher but we think it will not bad for its quality at all. The BOBA is another known brand in the market for it’s stylish, comfortable and built quality. It gives lots of support to your shoulder with its’ waistband, also provides nice weight distribution around the body. It also has the adjustment of shoulder straps under the armpits, which helps you to customize the fitting. It has one advantage over Ergobaby, it includes infant insert, you don’t need to buy separately. 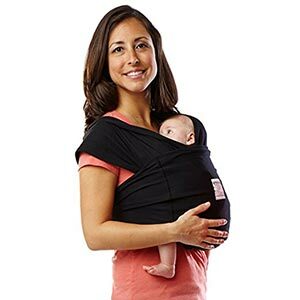 It supports from 7 lbs to 40 lbs, so you can carry your newborn as well as the toddler in the same. This includes a stretchable & removable hood which will protect your child from sun & wind. It also includes a little foot strap which supports hanging legs of your child. The adjustment system of this also very supportive, the range of the strap adjustment is very wide. Considering your baby’s comfort this product is good enough, but some parents said that they were not comfortable enough with it comparing with the Ergo. But that just their opinion, we have found it much comfortable. But definitely, Ergo is the best if you are thinking about your comfort. From the above points, Boba 4G is one of the best carriers in the market. The BABYBJORN is an older brand, truly the revolution of the soft baby carrier started with this brand. The trend was to use a soft & bulky one in 1990’s but now those days were gone. But still, BABYBJORN remains in the market with that types. The quality was good enough as before but the price has been down. The BABYBJORN Original is very simple, It has no shoulder strap, no infant insert, no waist strap, pockets or hood. So you can imagine how simple it is to compare with others. Built quality of this product is very good, it’s made from high-quality cotton which will give you a feel of soft touch. Shoulder straps are also good but using several hours you may feel pain in your back & shoulder. For the lack of features, the market was taken over by the versatile ones around last twenty years. BABYBJORN allows you to carry your baby in two positions, baby facing in and baby facing out. Some pediatrician suggests using this for proper support for baby’s head, back, and neck. BABYBJORN is trying to come out with more features, but not capable of reaching up to the level of Ergobaby or Lillebaby. But if you really want a simple one with good quality definitely it will be for you. It’s really stylish, well built & reliable. Price also very good considering it’s quality and lower price. K’tan original’s double loop design looks like a T-shirt, It distributes your baby’s weight evenly on shoulders & back, so you will feel much comfort. It’s made of 100% high-quality cotton which makes it highly breathable. This soft fabric will give your child a warmer and cozy feel. You can carry her in six different positions, this ergonomic position will give your child a healthy development. Weight limit is 8 pounds to 35 pounds. So you can use this from newborn to toddler. But we will not recommend you to use this for toddlers. This offers you multiple carrying positions without any wrapping and buckling, what can be a good news like that for wrap-style? It will not irritate you with one-mile long fabric. It comes in different sizes, which you can select before purchase. So definitely you can choose this baby k’tan original for your baby less than 13 months. Are you looking for a cheaper one? Maybe you are thinking that you don’t need to spend hundreds of dollars to get a wonderful one. There are actually some good carriers which you can get by spending less than $50, some are even less than $30. Really very cheap price, isn’t it? Infantino is a bestselling brand with a very lower price. They have several carriers, among them, Infantino flip advance 4-in-1 convertible is bestselling. You can use this one for newborns as well as the toddler. As this has two types of seat plan, you can select either narrow for infants or wide for the toddler. Fabrics used are of average quality and it’s machine washable. Infantino offers this with adjustable seat & leg. -facing in, facing out and backpack. It comes with breathable mesh fabric which makes your baby feel comfort in warmer conditions. It has adjustable lumbar support which helps to reduce pressure on shoulders. Extra padded shoulder of this will provide you much comfort. The fabric used here is also average quality & but considering the price that’s really great. Infantino provides this with a hood at a very good price. The removable canopy hood shades your little one from the sun. This comes with comfortable M position seat plan and two sitting positions. Sitting plan supports your baby from knee to knee. You can carry your baby facing in position & backpack system. The adjustable shoulder straps and wide waist belt will give you support while carrying. Wider strap belt will transfer the weight to your hips so you will not feel much pain on the shoulder. You can carry from 14-38 lbs in this, so definitely it will not suitable for the newborn. But if you want this from 8months baby to toddler you can buy this ergonomic one. We have reviewed a wrapping type one above but that was not actually wrapping carrier. The ideal example of a wrapping type is Boba wrap. You may think that wrapping type is difficult one to handle, but a little bit practice with wrap instruction will make you perfect. This comes with 95% cotton and 5% spandex fabric which will give your child a great comfort. This is really soft, stretchy and free from any harmful dyeing materials. You can carry her facing in position & feel your baby’s voice & heartbeat. Here you will not face any type of adjustment system, it will give you complete hands-free support while adventuring. Want to buy for toddlers? We will not recommend you to buy this for toddlers, this supports infant to 15 months baby most. Infantino smartly designed this one. This is the lightest & most compact one in the market. Its’ padded back straps provide proper weight distribution, padded head support is also present. And adjustable fit side straps ensure your comfort while carrying. The fabric is average quality but it’s great comparing the price. You can use this for your younger baby less than 1.5 years old. You can carry your child in two positions, facing in & facing out in front. No scope for back carrying. However, it’s not a great, but comparing price it’s really a good one. Infantino sash is a stylish one which is totally buckle-free & wrap-tie design with three ergonomic position includes hip hugging. You can also use as facing in and as a backpack. It has a detachable hood which protects your child, has a natural seating position which will make your her feel more comfortable. The body fabric is made of 100% cotton but the hood is made of 80% polyester & 20% cotton, fabric quality is average. The depth of sitting panel is suitable for children more than 9 months. There is nothing special with this except hip hugging. If you want to carry her in this position than this will be a good choice for you. All of our reviewed carriers are machine washable, but frequent washing may loosen the strength of seeming. So definitely it’s better to wash only when needed. Please avoid strong detergent, optical brightener, chlorine to maintain seem strength. Always try to air dry, do not put them in a dryer. You will get care instruction with baby carriers, if not find any instruction there than follow ours. Hope you have got the best carrier for your baby. Let’s take a look at our similar post Review post on Baby Memory Books and Sippy Cups.